Good quality at an affordable price! 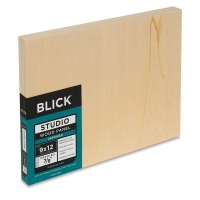 Blick Studio Wood Panels feature a standard 4 mm basswood surface that resists splitting and bubbling, cradled with a highly stable solid pine frame that won't warp or bend. Both the surface and the frame are sanded on all sides for smoothness. These unprimed panels are an excellent choice for beginners, hobbyists, or professionals seeking an economical substrate for studies, experiments, and everyday work. They can be used with any painting or drawing medium and are ready to prime with the ground of your choice (if desired). They hang flush to the wall using only a single nail or screw — no frame needed. 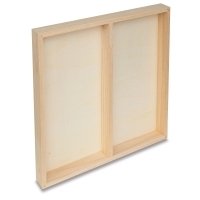 Panels are available in rectangular or square formats in a variety of sizes. Choose from three profiles — 7/8" (Flat), 1-1/2" (Gallery), and 2-1/2" (Extra Deep). The following Extra Deep sizes are built with a cross brace for extra stability — 30" × 60", 36" × 48", 36" × 72", 48" × 60", and 48" × 72". 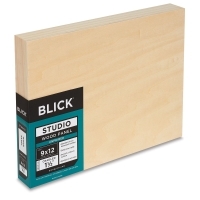 Like all Blick products, Studio Wood Panels are backed by our 100% satisfaction guarantee. 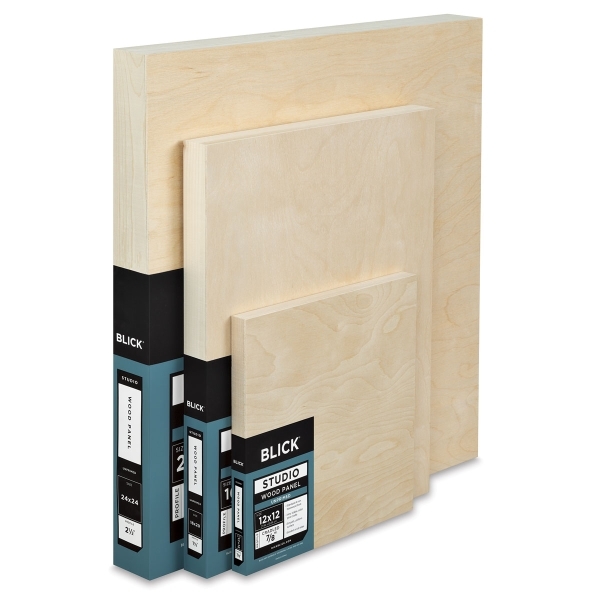 To view a PDF of Blick Wood Panels please click here. New, Improved Surface Won't Split or Bubble! We've recently improved the 4 mm basswood surface of our exclusive panels to resist splitting and bubbling. Like all Blick products, these panels are backed by our 100% satisfaction guarantee. If you're not completely satisfied, you are entitled to a full replacement or refund.